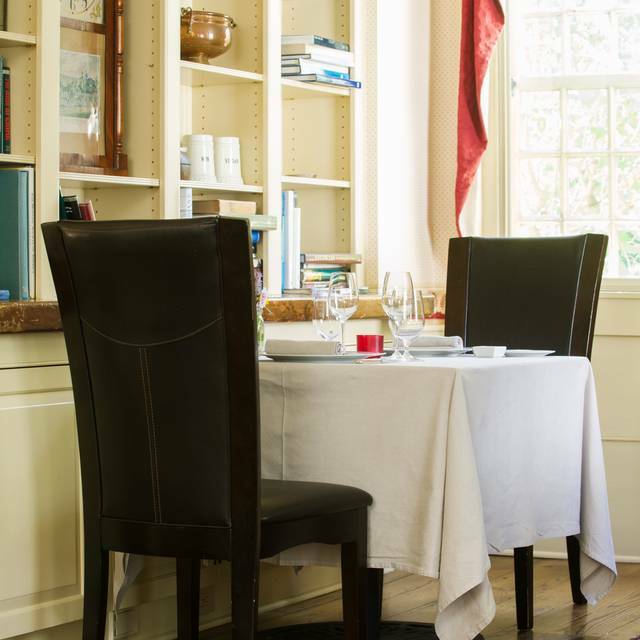 You must make reservations at least 5 minutes in advance of the time at Winvian Farm. 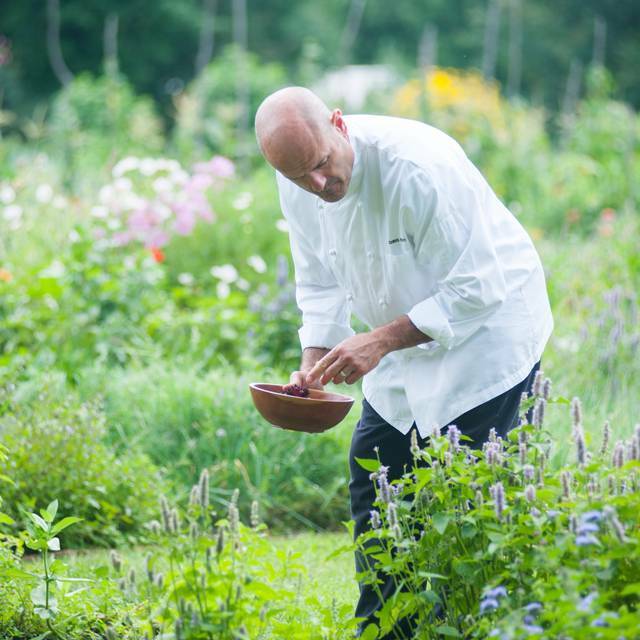 Chris Eddy, Executive Chef and founder of Winvian's food philosophy, prides himself as a culinary craftsman creating farm-to-table menus using simple, crisp and seasonal ingredients accented with unusual and fresh findings. Menu changes daily. To compliment our food program we have put together an extensive wine program of 500 labels from 13 countries 37 differnt regions, with the emphasis on USA, France and Italy. This is one of the most amazing meals we have ever had. My boyfriend is an executive chef and I surprised him with these reservations for his birthday. He LOVED it!! It is not easy to surprise/impress another chef with a restaurant choice but this was a complete success!! We can't wait to go back. Tucked away in the middle of nowhere in a beautiful setting you find a sign and closed gates and entrance is only granted once your reservation is verified. I can't say enough about this place. We had pre-dinner drinks and played American shuffleboard and then had a fantastic 4-course dinner which I would rank in the top 10 of all time for me. Need to go back in the summer when it must be even more beautiful. From the minute we exited the car to the minute exited the property we were treated with unmatched service. 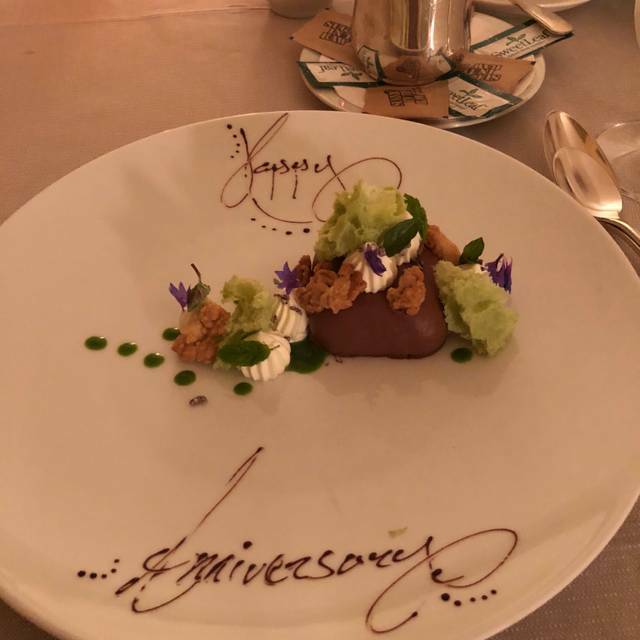 Amazing anniversary dining experience! Setting lovely . Warm bread cold in the middle . Oil cellar dirty when we first arrived. Very nice wine list . Great Bloody Mary. Waiting for twenty minutes to have the various ways in which the complicated prix-fixe menu can be combined and ordered was a bit much. Considering the staff obviously outnumbered the clients on a recent Sat evening, it was surprising how little finesse the service here held. The food was superb. But my teeth never got off edge from the cold shoulder welcome. exceptional. great food and service, excellent wines, an unusual setting. Food was amazing and the service was very attentive. Very romantic great for a special event. All courses were excellent. The understated country house atmosphere is charming. 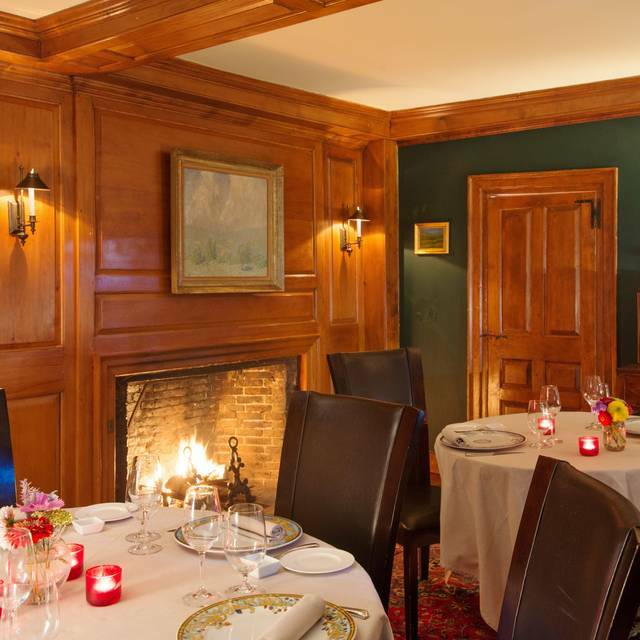 The wine list is a bit pricey, and the service to start the meal was slow, but the experience is good, and certainly the best in our part of Litchfield County. I took my wife there for Valentine's Day. To say it was exceptional would be a gross understatement. The food was on a completely different plane from 98% of the rsstaurants we have been to and we go to alot of high end restaurants. I just have nothing negative to say and wish I could give winvian more stars. Bravo. The entire experience was wonderful. staff, food and décor all memorable and excellent. We plan to come back frequently. This was one of the more wonderful meals we have had in a long time, and in a lovely venue. The service was warm and attentive. The food was perfectly seasoned and flavorful. The surprise little cup of cauliflower soup might have been the best bite. The salad was fresh and fragrant. The pasta course outstanding. While the steak was cooked and seasoned perfectly, one of ours was a little tough—it might not have been rested long enough. The desserts—in particular the almond pear cake—was top notch. We drove 45 minutes for this, and it was worth it. We will be back. It was our first time at this restaurant. We have been to some exceptional restaurants in Europe and North America and I would place this restaurant towards the top, with regards to quality vs cost. All courses were excellent, intense flavours, high quality ingredients, well presented and excellent service. 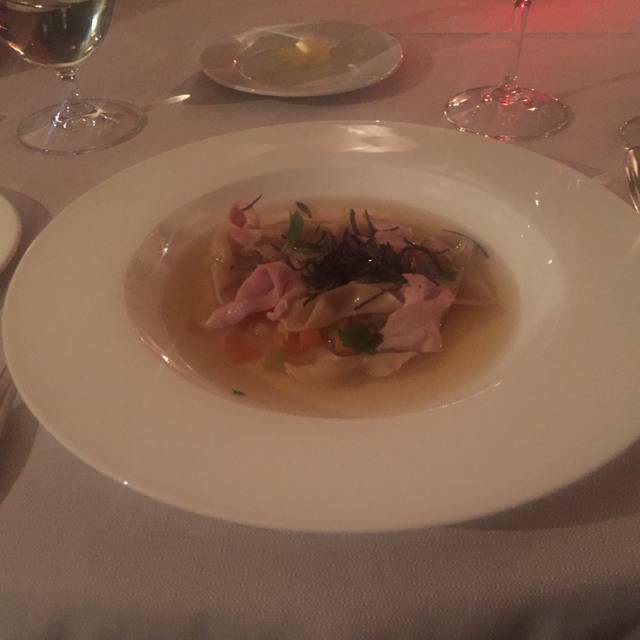 Loved the Hand Rolled Farfalle Pasta (pheasant, truffle, macedoine of vegetables and broth). Hard to single out a single course as all were exceptional. We will be returning with friends soon. Winvian it’ll always be the restaurant for our special occasions! The food is always superb! Their house made pasta is incomparable. And the fireplace seating area with pool table it’s great! My husband and I love to get us some drinks and just have a game before our meal! And I can’t forget about our maîtres de who is the most attentive service we ever get! Can’t wait to be back! 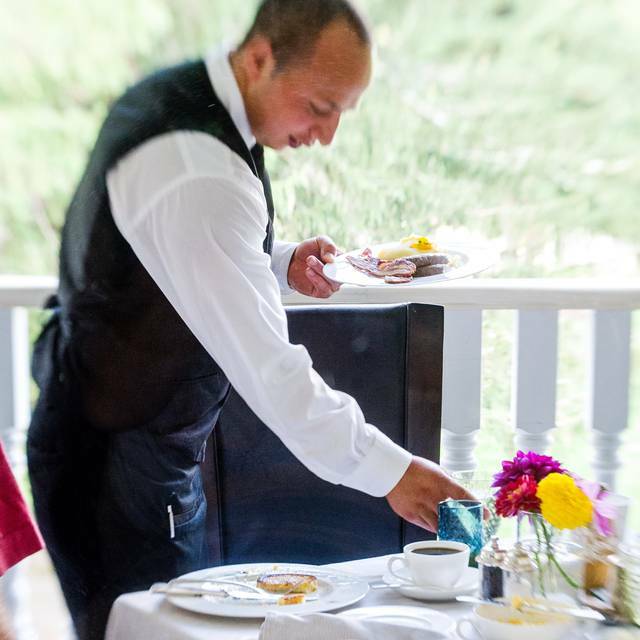 An exquisite meal with impeccable service! Outstanding ambiance, service, and food. I would make the 70 minute drive to go again anytime. Superb! Food was delicious and so incredibly presented! The service was impeccable! Will be back! Had lunch here for first time. Brought my mom after having tried nearby Arethusa. The staff was super friendly and accommodating. The food was amazing and the best spaghetti Bolognese I’ve had outside of Italy! The vegetables still had the smell from the farm soil they came from. I only wish I was staying at one of the cottages and not just sneaking in for a lunch. Highly recommended. This was amazing, but do expect to shell out some serious money. We felt rushed at the beginning of our meal and had to ask them to slow down. I would go back, but not 100% the cost of meal is worth it. Dinner was absolutely amazing. Pricy but worth every penny. Where else can you dine on food that’s been picked hours prior and prepared fresh? Very flavorful and accommodating to food allergies. We highly recommend! Kudos to Chef Patrick! Neither my husband nor I could remember the last meal that we savored as much as ours at Winvian Farm on Sunday night. The amuse-bouche was a delightful surprise, as was every course of a very flavorful and creative meal. Before the meal was close to over we were already looking for reasons to return. Although all dishes and courses were fantastic, the lamb ragu and the duck were spectacular. Beautiful grounds. We had reservations at 6:30. We had a drink outside before going up to dinner, we sat outside and it was beautiful. It was good we came early as we had a two top next to a table set for seven. Luckily they did not come till we just finished dinner! I had asked for a quiet table and I wonder if they knew that we would be done by the time they arrived. It was very quiet for our dinner. We had the 3 course meal. We had the Ravioli and the Gnocchi for the appetizer, and the Duck and Beef Tenderloin for the entree. All 4 where excellent. Then the Desserts, choice was Cheese Tasting, Mouse, Dark Chocolate Cream, and Rum Baba. We had the cheese and cream. We did not like the desserts. The service was good but the waiter never came and asked us how the food was it did we want something. When I was a waiter I always came after I served a course and did that, was surprised that did not happen. We were looking for a fine dining restaurant, after the first 2 courses we thought we found one but we have reservations now after dessert. We will try it one more time maybe in the fall. Fantastic food experience - chef and staff went out of their way to impress. We had an an excellent 4 course meal with a number of surprises from the kitchen! We had great salad, quail that was a great app along with pea filled ravioli. This was followed by the best duck ever! This was all followed by atremendous dessert selection of milk chocolate cake and zucchini cake - great find... but bring your wallet! 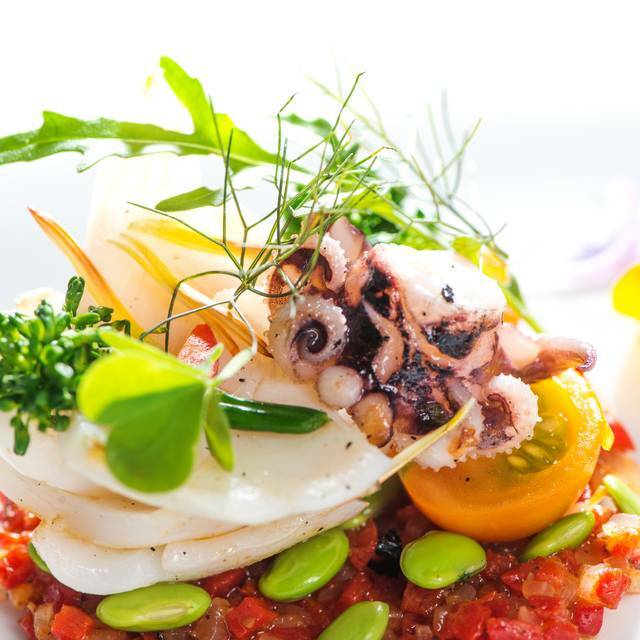 The restaurant at Winvian Farms is simply the best in Connecticut. The food is exquisite. The ambiance and service are outstanding. Pricey, but worth every penny. It is our go-to dining experience for special occasions and never disappointing in the slightest way. Truly exceptional. Best restaurant in CT, hands down. Food is out of this world. Great place, the service was amazing. We did the testing menu with wine pairing. Fabulous! Attention to detail was superb, starting from our arrival to cocktails to dinner to dessert. Our surprised fresh tastings were creative and sumptuous . 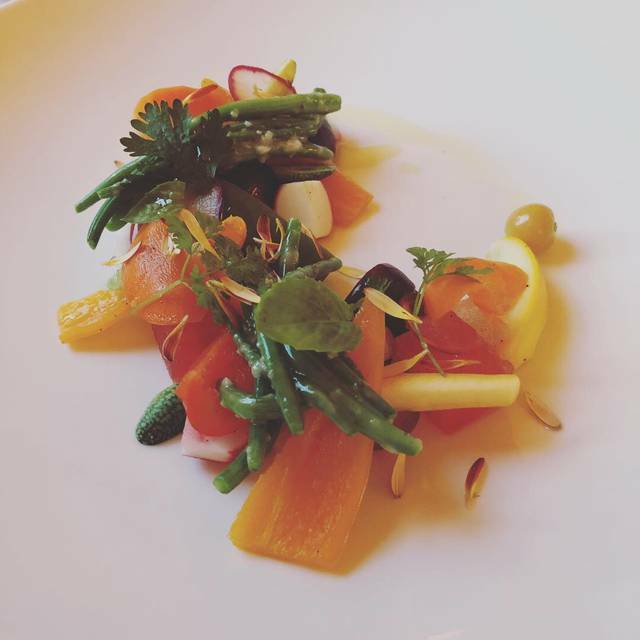 Wonderful food and impeccable service. Will be back soon. Went here for my husband’s birthday. Delicious!! We had the 4 course tasting menu - everything was made perfectly and the service was excellent. On our first visit here we had a wonderful time. Food and service was all top notch. Can’t wait to go back again soon. Excellent dinner with attentive service. Wonderful, comfortable atmosphere. Looking forward to a return visit soon. Upon entering the private gate and being greeted by name by the valet and escorted to the table we had high hopes. Unfortunately the service didn't match the first 5 minutes of arrival. It took me asking for service to get a glass of wine. The demeanor of the waiter was one of irreverence. The food was good, but soured by the service. This included having to hail the waiter for a second glass (and I'm not that impatient). The grounds are beautiful. The main house, where the restaurant is, is great. Ask for the table by the fireplace. Downstairs is a bar with pool, shuffleboard and fooseball. While that sounds cheesy, it fit very well and was done tastefully. All in all we are unsure the price had equaled the service we would typically expect. It would be as easy p as smiling and asking if we have enough to drink. 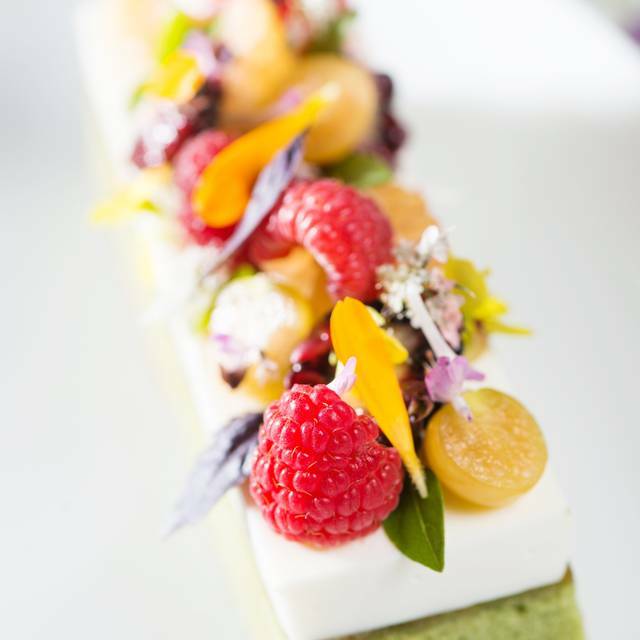 Winvian is hands down the best restaurant experience you will get. From arriving at the gate, greeting by valet, the restaurant and most notably the food, it is amazing in every regard. If you are looking to have an elegant meal at a special place look no further. It is a little pricey but you get what you pay for. The meal options always change and they are very diverse. The culinary creativity is amazing. The evening was wonderful. Everything perfect EXCEPT the fireplace was smoking and I had to take the clothes I wore to the cleaners the next day. Regretfully I’ve had the same problem several times in different dining rooms. I would dine there far more frequently if you could solve this proble.